Parker appears to have already fallen out of the Bulls' regular rotation after playing just four minutes during Thursday's 97-91 loss to the Orlando Magic. The Chicago Bulls have begun to engage in trade talks centered on forward Jabari Parker and interest is high, according to a report from K.C. Johnson of the Chicago Tribune. Boylen tried downplaying the situation calling Parker's limited minutes a "matchup thing" but this isn't how Parker envisioned playing with his hometown team. When asked by the media about the decision made by coach Boylen, Jabari said that he doesn't expect it to be permanent but he was surprised when he was told. It's hard to do that. You know, this team is not about one person, one matchup. 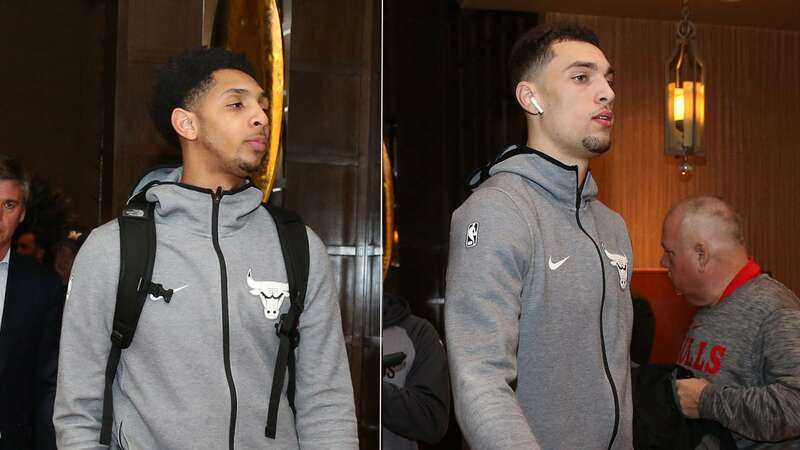 Prior to the demotion this week, Parker had played heavy minutes for the Bulls and was second on the team in scoring with 15.2 points per contest. It's about the team, and you play your minutes when you're in there, and when you're not, you support the guys who are. Parker doesn't expect the move out of the rotation to be a permanent one, but given he's being dangled prior to the December 15 deadline (when players who signed in this past summer are eligible to be traded), it looks like the Bulls surely have plans to make it so. Parker moved to a reserve role following the return of second-year forward Lauri Markkenen a couple weeks ago. It remains to be seen as to whether Parker will rejoin the rotation at some point but, given the reporting here, it comes as no surprise that ESPN also indicates that a buyout "could become an increasing possibility closer to the trade deadline".